As a life long United Methodist always with at least one foot in the Episcopal Church and the other in Orthodox tradition, I was happy to read this blog post. 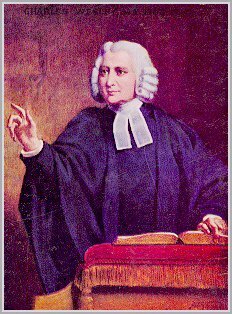 Charles Wesley certainly is a saint worthy of remembrance, and may the praises of God in his songs be recovered and rediscovered throughout time. His theology is beautiful, built upon the foundations of Orthodoxy and Anglican spirituality as well as good old scriptural knowhow. thanks for this post!